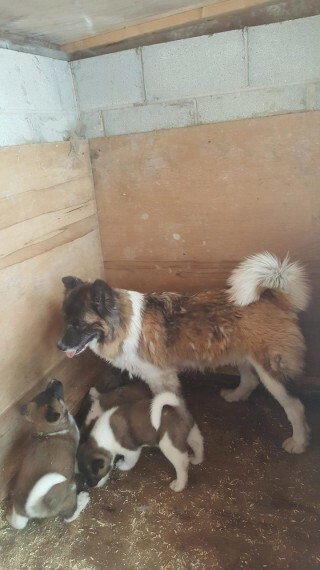 Beautiful Bear Head Akita Puppies. Boys and Girls. Mum and Dad can be seen. 5 generation pedigree fantasia bloodlines with Red witch and Saba Park in them. Brought up around children and pets. wormed and ready too go.